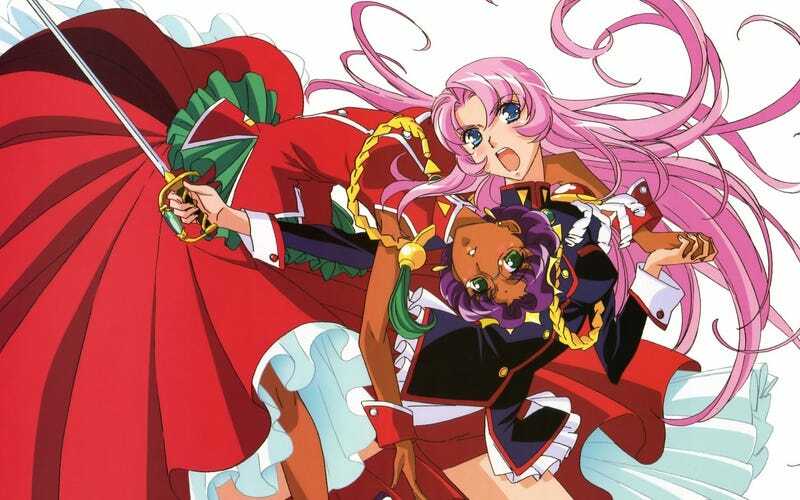 Revolutionary Girl Utena to Blu-Ray in North America?!? The last few years has been great for fans of classical anime, especially those from the 1990's. With Funimation license saving Bandai classics like The Vision of Escaflowne and Code Geass recently and Right Stuff doing heavy lifting with other titles - most notably classic Gundam series which never saw a North American release. All in it’s been a pretty good time all around. That said while times are good - they are really good for fans of shonen, mecha, and fantasy - there are always cracks than need filling. One such genre that desperately needs some love has been the Shojo genre. Outside of recent rereleases of series like Cardcaptor Sakura and Sailor Moon you were mostly out of luck. That seems to be changing as Anime News Network is reporting that one of the best series in the genre - and well anime in general - may finally be getting a High Definition anime release. While it had a release on DVD in 2011 for collectors, fans, and those who don’t have a copy the possibility of a Blu-ray should be enticing. As a gorgeous anime it’s likely one of the few from the era that will actually benefit immensely from the up conversion process. Here is hoping the tease comes through.